When you first see the lights in your rear view mirror, pull over as soon as it is safe to do so. As you are pulling over, take a deep breath and get rid of any attitude you may have. Do not be hostile, arrogant or angry. Being polite and cooperative can help with negotiating in court. Once you’re safely pulled over, roll down your windows, turn off the car, and put on your emergency flashers. These are all actions that demonstrate you’re being cooperative, intelligent and respectful. Never, ever, ever get out of the car unless instructed to do so by the officer. 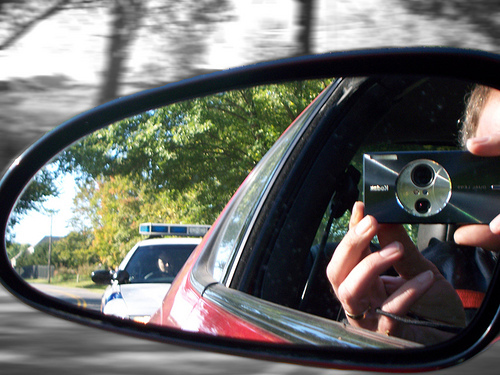 Leaving the vehicle can be perceived by the officer as an offensive move. Your attitude needs to be one of submission. Police officers never know whom they’ve pulled over. A traffic stop can be very dangerous for them. Have your license, registration, and proof of insurance ready to give to them upon request. Keep your hands on the wheel and in view at all times. As the officer approaches the car, do exactly what he says. This is not a time to be chatty with the officer. The officer is simply doing his job. Do not lie to the officer, but you don’t have to answer all of his questions either. That may seem like simple advice, but it is important. Here’s a handy reference of speed limits in various areas. It is always advisable to observed the posted speed limits. If you’ve had a speeding ticket in Columbus, Ohio, you need the representation of a skilled and trusted attorney to protect your rights and keep penalties to a minimum, especially if this isn’t your first speeding ticket. The Maher Law Firm can help make sure that you are protected. Call The Maher Law Firm today for a free consultation at 614-205-2208 or contact us online.